It's no mystery why poor connection speeds and page load times result in poor conversions. If your website loads too slow, your customers will abandon your website. Adobe predicts that faster mobile data plans (5G) in the US will bring online retailers up to a $12 billion dollar year by 2021. That being said, don't count on your customers having faster data plans. Make sure that your website is optimised for any connection speed. Tip: Check out Google's free PageSpeed Insights tool to help you optimise your site. The number of website visits in the US have more or less plateaued. Since the US has a high internet penetration rate (76.2%), it's unlikely to see more web traffic from new Internet users. Australia has an even a higher penetration rate around 88% according to Statista. Websites that operate and serve customers in developed nations need to compete harder for whoever is already online. 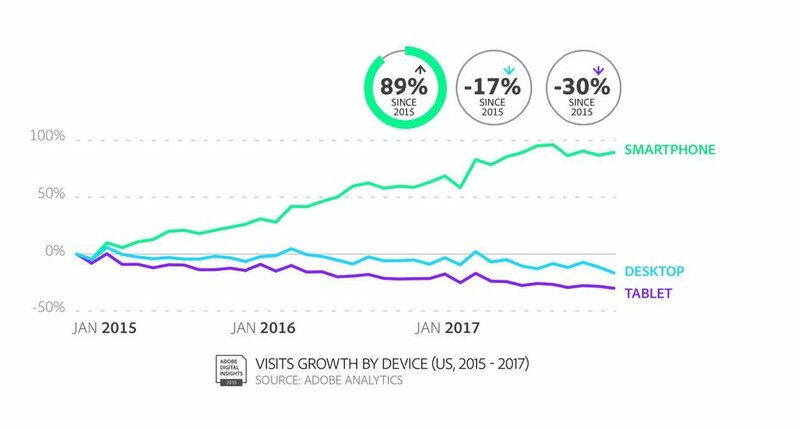 Since January 2015, website visits from smartphones grew 89% in the US, while both desktop and tablets declined by -30% and -17% respectively. 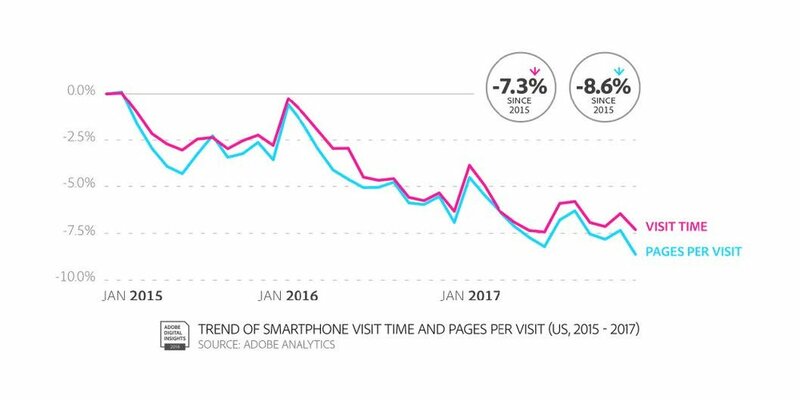 But the duration of smartphone visits are shorter, down by -7.3%, and the number of pages visited also decreased by -8.6%. 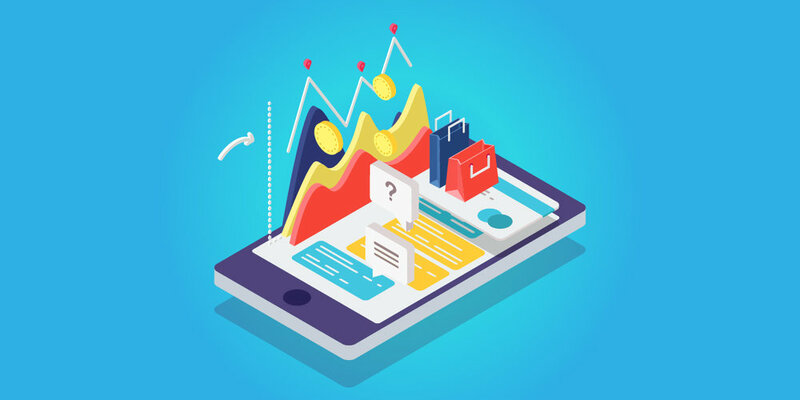 This means that customers are becoming less patient and are expecting an efficient mobile web browsing experience. Optimise your mobile site to reduce the number of steps it takes for your customers to complete their goals. US consumers are spending more time and money while shopping on their small handheld devices. Smartphone revenue per visit is worth 30% of the value of a desktop revenue per visit, up 11% since 2015. It's no surprise that warmer regions see more website visits from smartphones than colder ones. For every increase of 2 degrees Celsius, smartphone visits increase by 1% on average. Colder temperatures naturally push people indoors, making desktop a preferable option for web browsing. Ready to take advantage of SMS? As more customers switch over to their smartphones to shop and browse the web, it's time to start thinking about how to use SMS to your advantage. Stand out with an SMS flash sale, promotion, or offer. It only takes a few minutes to launch your first campaign.